Potato Cheese: A 19th Century English Ferment? Through all these years fermenting vegetables, I have often wondered why there is so little a tradition of this kind of food preservation in Britain. Did the prevalence of beer easily make malt vinegar available for vinegar pickling? Perhaps the relatively mild winters meant less of a hunger gap than in colder climes eastward? Maybe the early entrance of rural workers into a wage economy cause an earlier loss of indigenous food traditions? Might there be foodways left to be discovered? I’d like to believe this last, but I don’t have an answer. I scour old cookbooks and find not much– perhaps an occasional mention of making fizzy drinks with “yeast” (which of course could so easily be wild rather than derived from baking and wine making) — elderflower champagne, for example, or bottled drinks of burdock and dandelion, or nettle. But these are sugar ferments, and different from preserving in brine with bioactive bacteria– i.e. sauerkraut, kimchi, cucumber pickles. Somewhere in Hannah Glasse I once read a reference to wedges of cabbage in salt brine– but that didn’t feel like a common cultural practice. 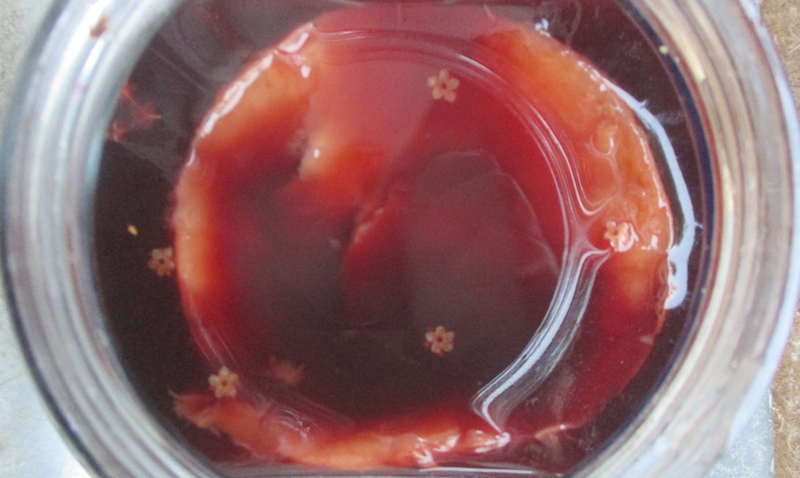 Here’s a beautiful short film in which Sandor Katz talks about processes of fermentation. He is funny and compelling– and I will always be grateful to him for Wild Fermentation which has been such an influential, important book in my life. Using Wild Fermentation I taught myself basic skills that now serve me constantly in the kitchen, but the book also presents a wonderful vision in which personal, political and microbial transformation serve as metaphors for each other. Wild Fermentation is a guide to practical alchemy (and for this reason, if you have to make a choice, buy it before the also wonderful The Art of Fermentation). Making Kimchi Latkes from a great new book — a review and lots of inspiration. 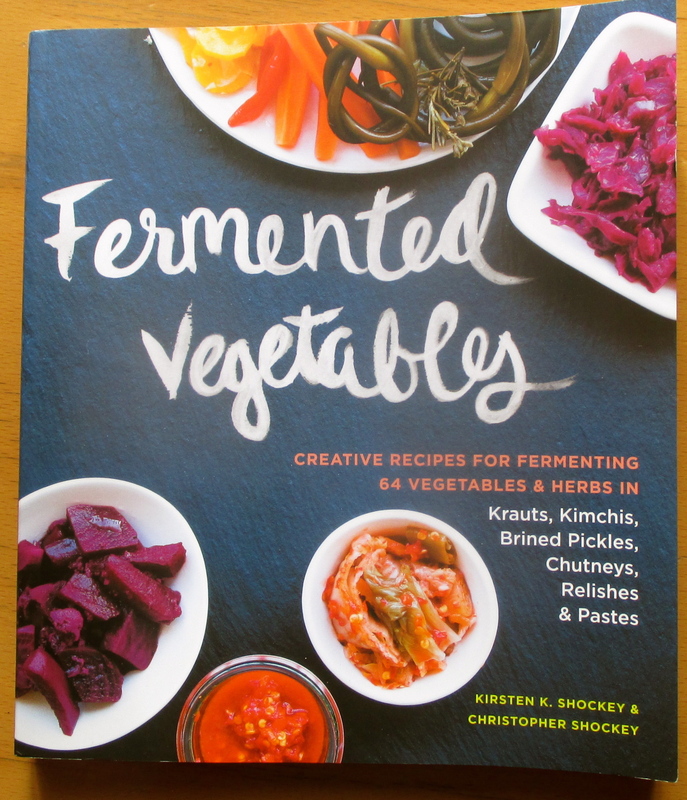 When my review copy of Fermented Vegetables arrived from the publishers, I felt upon first leaf-through an energising surge of creativity. 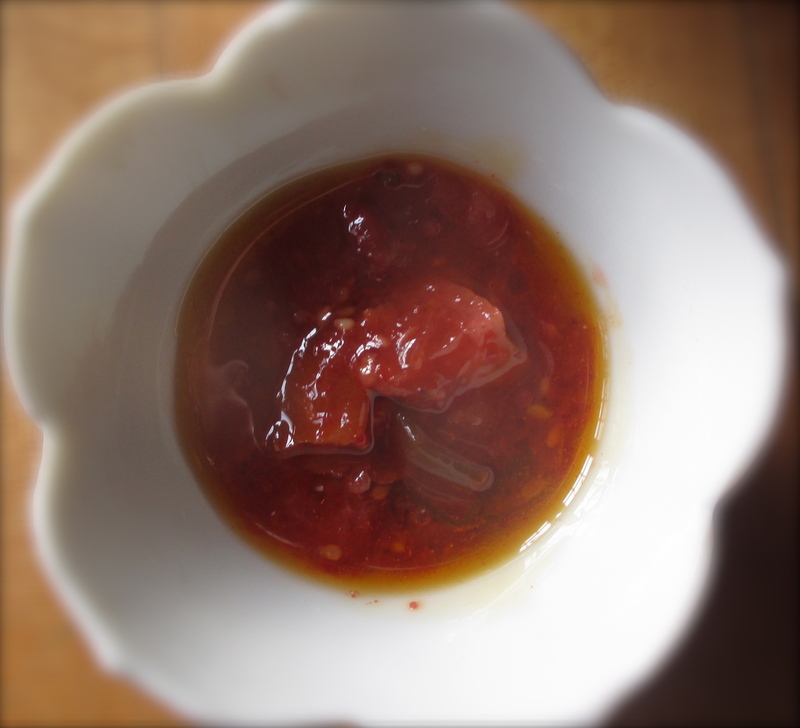 From my own larder and imagination, I dressed a salad of grated swede and carrots in a Plum Kimchi vinaigrette. 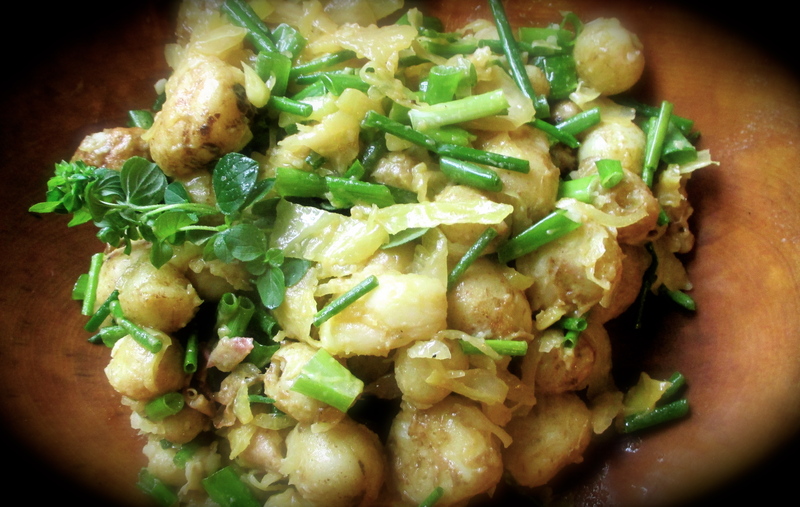 and made a quick potato salad mixing plain old sauerkraut with potatoes in olive oil with spring onions and chives. All were yummy, standard Kitchen-Counter-Culture type food preparations, but I needed to get past them to let in the light of the whole new universe that Fermented Vegetables opens up. It’s a beautiful book with exciting and original recipes and has regenerated in me a can-do sense about all the ways to continue fermenting and use my fermentations as ingredients. All week I’d been throwing things into a small stock pot: onion and leek scraps, parsley stems, skin from roasted pumpkin, carrot scrapings and beetroot skins. 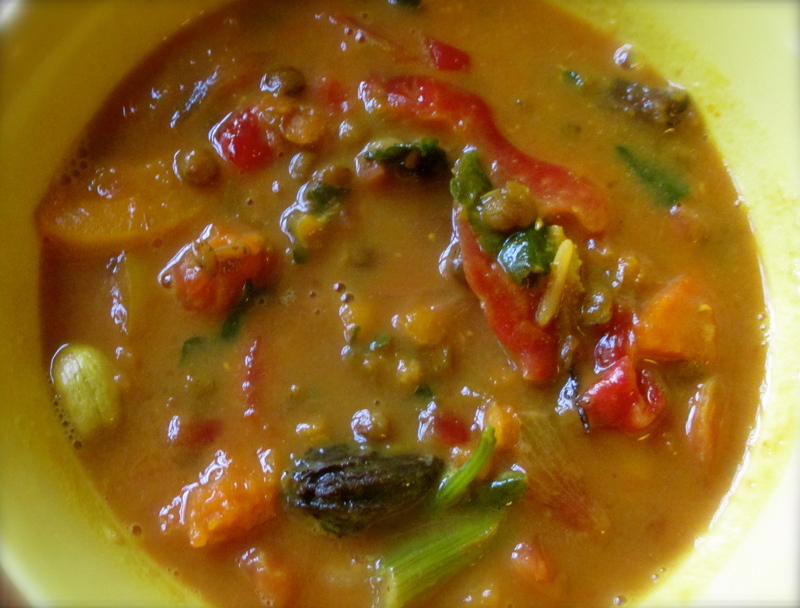 I simmered them and made a stock for a nice lentil soup (which included some #pumpkinrescue pumpkin). 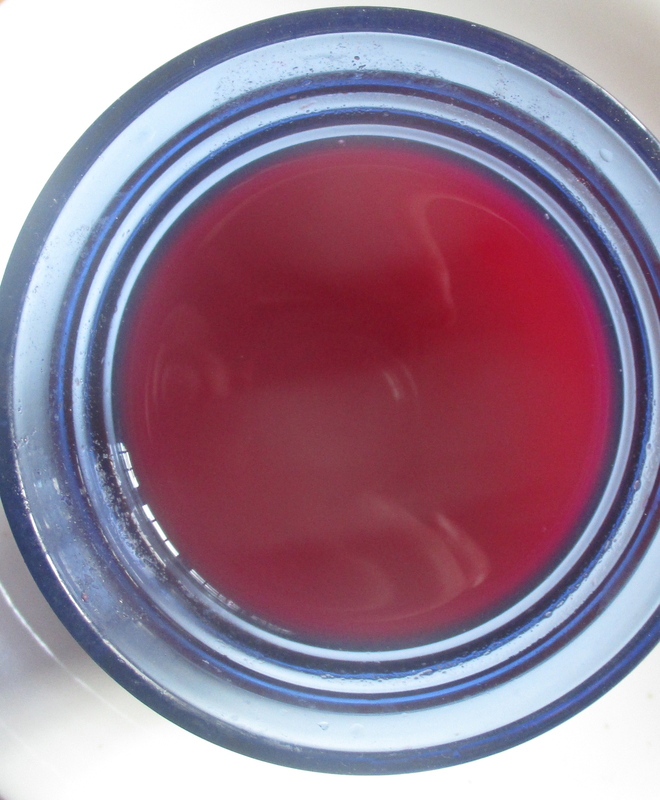 Beet is a wonderful ingredient in stocks, but sometimes it’s the only time the gorgeous colour feels wrong, because it announces itself rather than coming in with stealth. Unannounced, beet is a great suggester of the richness of meat– there’s something of blood and iron in the flavour. It’s great grated into vegetarian “Spag Bol” variations for this reason, though again, the colour needs to be accepted in this instance, not fought. We’ve been busy, and the extra “stock” was sitting out on the stove stop, unstrained, unrefrigerated. 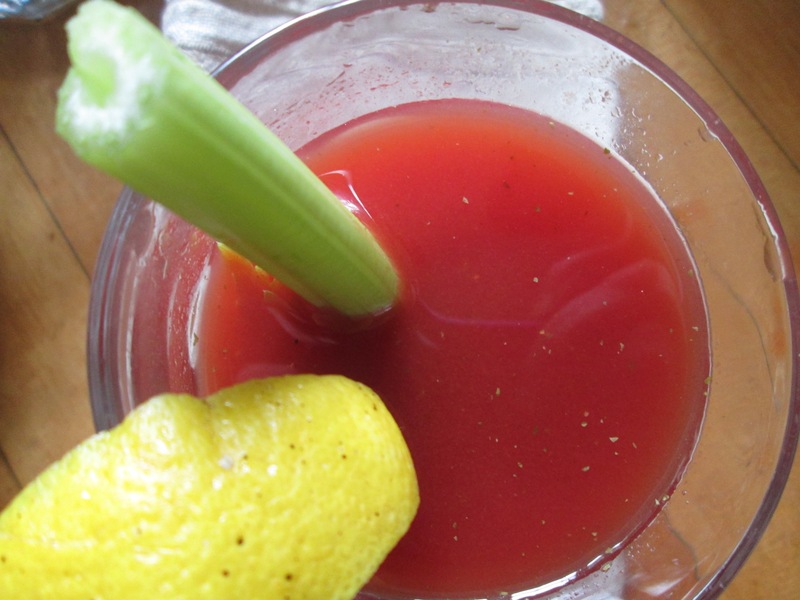 Yesterday I sieved out the vegetable bits to put the liquid in the fridge. Tasting it, it was sour, and I thought, off. And was about to chuck it. Me! Ms Ferment, Ms Anti-Waste, throwing out food!. But I thought again, and tasted a bigger sip.